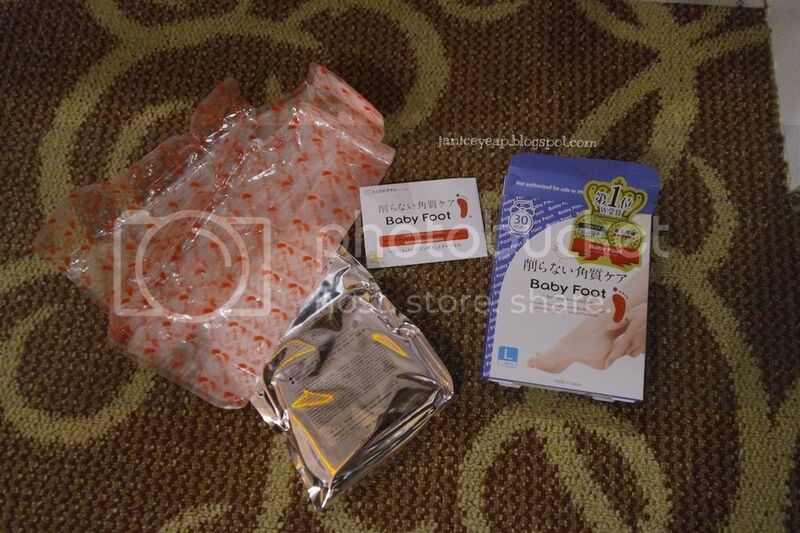 We are fortunate enough to experience the newborn beauty as Watsons Personal Care Stores incorporate with Cason Trading Sdn Bhd to give us back the reborn youth by bringing in 3 new Japan brands into Malaysia - Baby Foot, DotFree and PureVivi. 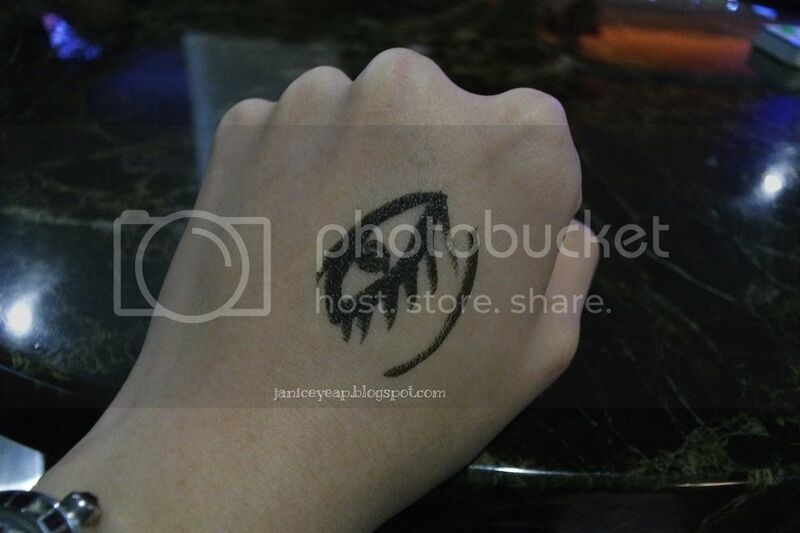 The team used Bonavoce waterproof eyeliner to draw on my left hand upon arrival of the venue. 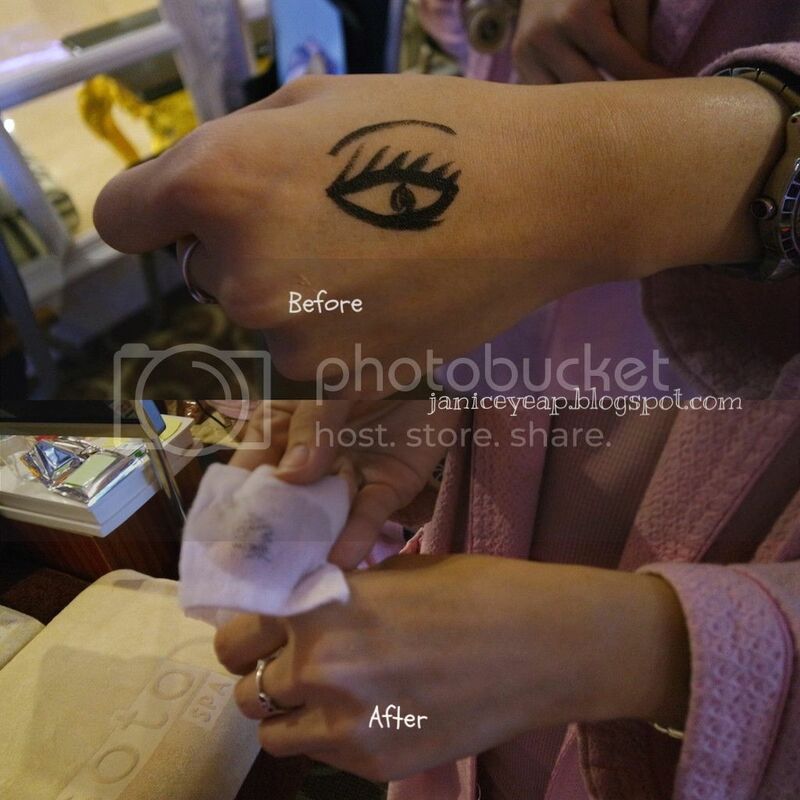 They told us that they would be using the PureVivi Cleansing Lotion to remove the eyeliner effectively. Jenn Chia was the emcee of the day who is the new 8tv Quickie host. She launched the event by welcoming the Watsons VIPs whom are Ms Caryn Loh, the General Manager, Ms Hamilah, the Admin Manager, Ms Shureen Lim, Marketing Manager and Mr Jude Benjamin Lisa, the Assistant Marketing Manager followed by Siew Phooi, the buyer and the rest of the honoured guests. Cheesie was there to attend the launch because she is the beauty ambassador for Cason's Trading which carries the Baby Foot, DotFree and PureVivi. 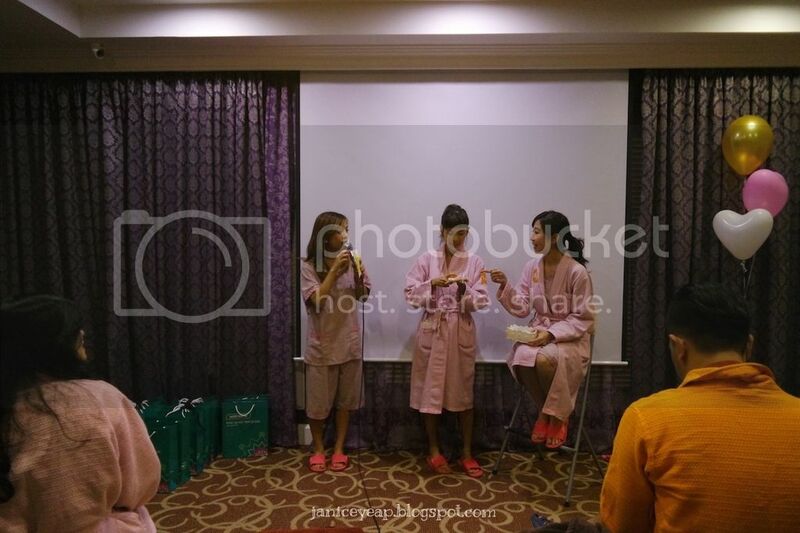 Cheesie also shared some beauty tips and did same live demonstration on one of the guests in order to show us the effectiveness of the beauty products - DotFree All-In-One Essence and Purevivi Cleansing Lotion. 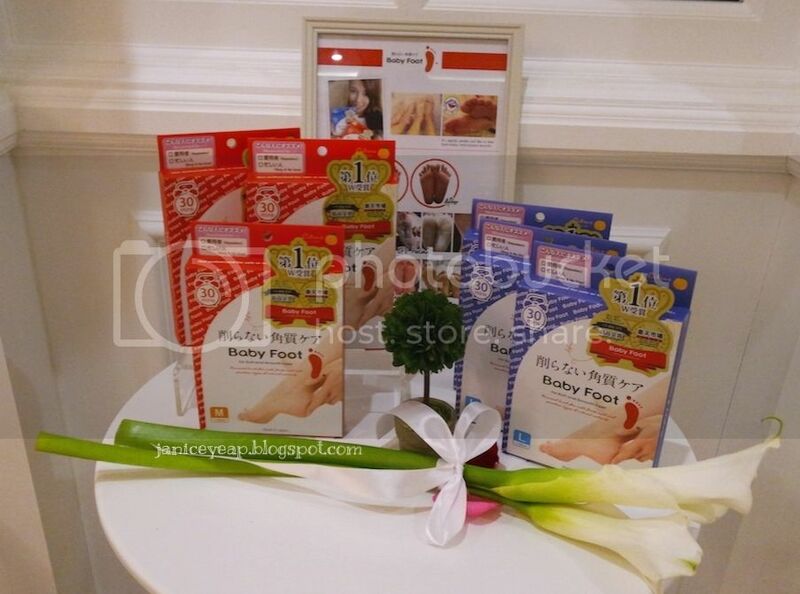 Since we had to wait for 30 minutes before removing the baby foot treatment pack, we proceed to try out the DotFree and PureVivi products. 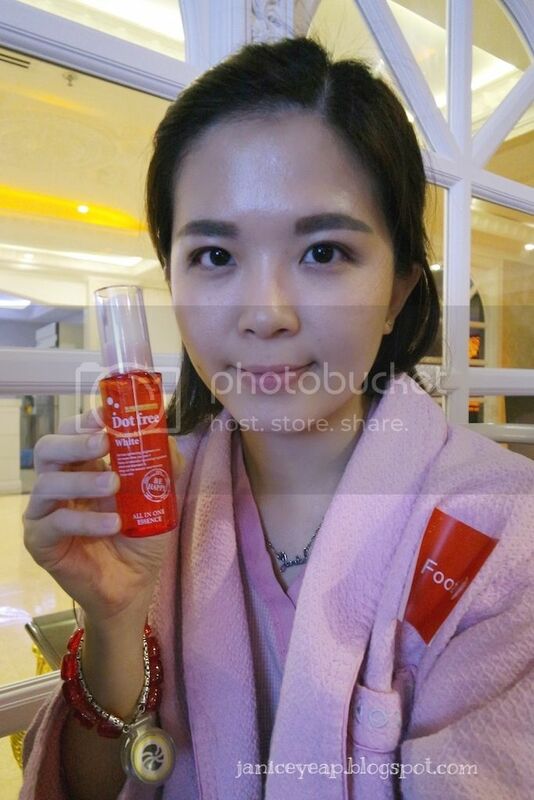 Dot Free All-In-One Essence does not leave any sticky feeling on the skin and the best part was it absorbs easily into the skin. Another product which fascinates me the most was PureVivi Cleansing Lotion. This cleansing lotion is a water-based cleansing lotion which is a 4-in-1 multipurpose cleansing lotion. It is used to remove makeup, acts as a cleanser, moisturizer and soothe the redness and itch on the skin. I applied the Cleansing Lotion on the cotton pad and placed it on the hand which the team drew on my hand previously and leave for few seconds before removing the cotton pad from the specified area. To my surprise, the waterproof eyeliner on my hand was completely removed without any residues left on my hands. My jaw almost dropped when I saw the results. After that, we were given a tub full of water to wash our feet after 30 minutes. We removed the plastic from the feet and soaked our feet into the tub and washed it. The launch ended with a group photo session with the media. I seriously can't wait to drop by Ossoto Spa for the 3rd round and enjoy the spa session with my girlfriends. Anyway, I was glad to be able to meet up with some of the bloggers since I have not been attending events for quite some time. 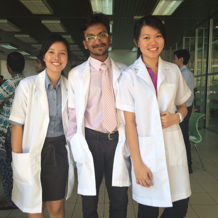 Anyway thank you Cason Trading and Watsons Malaysia for having me. I can't wait to do reviews of the products I have received so stay tuned to my blog! Will do a more detail post on these products soon. For more information on these products, you may visit www.tokyoninki.com.